Hike the Grand Canyon with us-- for teens and young adults in recovery! July 22 - August 3rd, 2014! 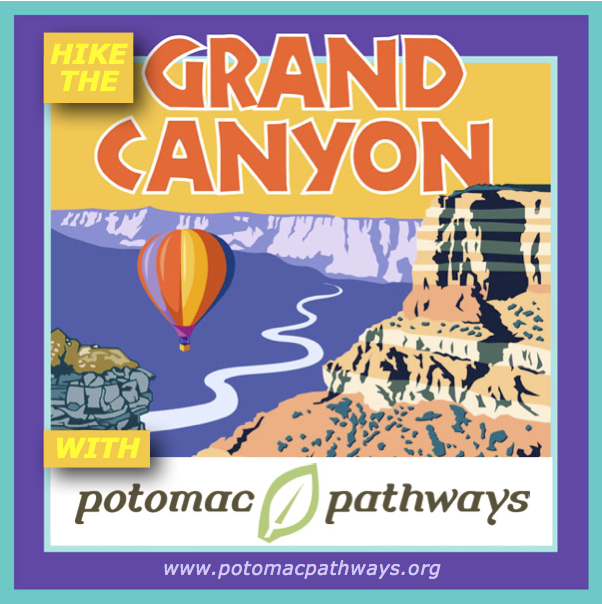 This Summer: Hike the Grand Canyon with Potomac Pathways! It's going to be an amazing trip-- with a full staff from Potomac Pathways, a crew of clean & sober peer mentors, and a journey that takes us from the North Rim of the Grand Canyon right on down to the Colorado River! Imagine the beauty, the waterfalls, the stars at night, the waterfalls, the recovery-supportiveness-- and register now! We definitely want you on the trip with us! Oh, and by the way, the trip cost INCLUDES round-trip airfare, which is currently running around $600. We deal with all the logistical details, so you don't have to! Wilderness EMT on board! Now on the calendar-- July 22 - August 3, 2014. Gonna be awesome! 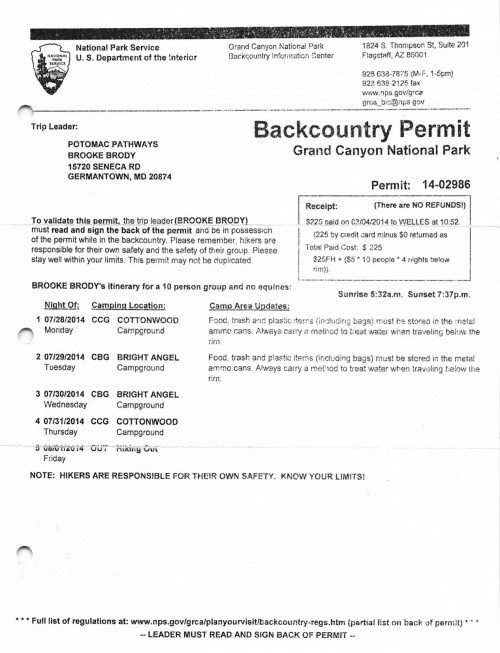 We'll be hiking into the Canyon and camping at the Colorado River! WOW! Click here for more info. Awesome ski trip for kids in recovery! Click here for more info about the really awesome Presidents' Day ski weekend trip we are running! It's for teens and young adults in recovery! Ski from your front door-- recovery discussions around the fire in the rustic chalet-- splash in the hot tub on the porch overlooking the slopes! OMG-- it's gonna be awesome! Check out the timeline on this graphic. 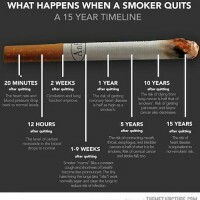 The positive effects of quitting smoking are rapid. Click here for larger view of the timeline. 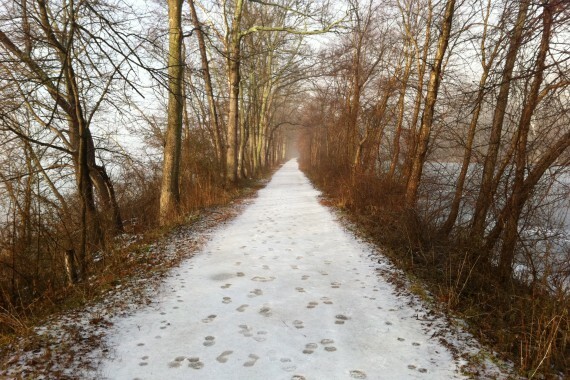 Happy New Year from all of us at Potomac Pathways! Weekend adventure therapy at Teepee Village! 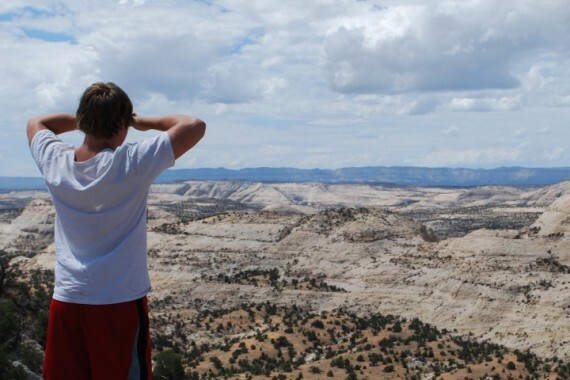 Adventure therapy is built in to the First Step IOP (Intensive Outpatient Program for teens). 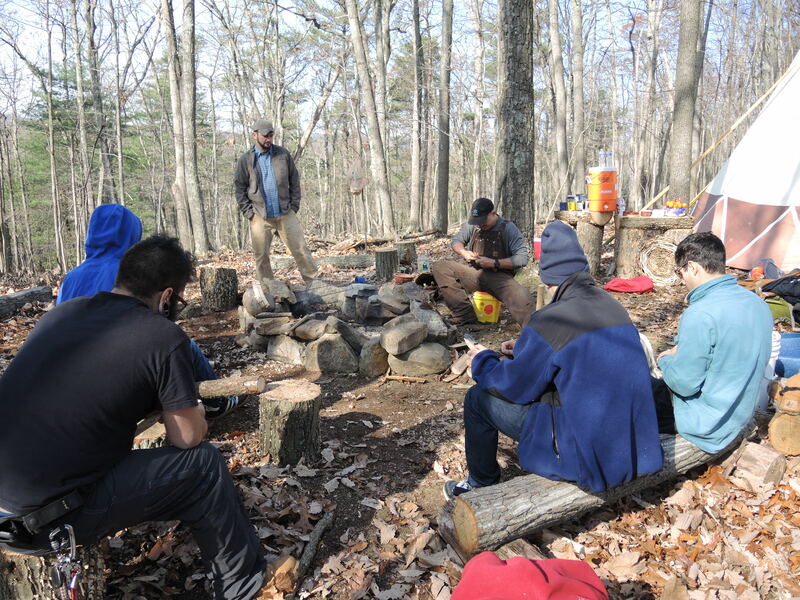 This weekend we took the crew up to our teepee village in nearby West Virginia, and worked on some of our backcountry skills like-- bow drilling, flint knapping, and cowboy cookery! Of course, we weave in positive, self-esteem-boosting therapy groups around the fire! The program is designed with teens in mind-- to keep them engaged, interested and invested! That's the Potomac Pathways difference! • Friends: Many teens relapse because they lack a group of friends who are clean and sober (Winters, K. C. et al, 2009).Potomac Pathways provides a place to go to meet with peers-in-recovery and take part in a range of clean and sober, supportive activities in a welcoming environment, with both structured and unstructured (but supervised) settings. • “Cool”: Conventional drug treatment is not “cool.” Potomac Pathways has a distinct “cool factor” which is attractive to adolescent clients. For example, the program eliminates concrete block walls and fluorescent lights in favor of natural environmental elements and comfortable furniture. The program incorporates experiential elements like drumming, yoga, meditation, outdoor adventure activities, music, technology and more. Plus, the therapy uses and teaches a strengths-based, solution-focused approach which the clients experience as warm, supportive, and empowering, rather than primarily a lecture format. Potomac Pathways has identified many of these elements as important for increasing client retention and improving positive outcomes for the “subpopulations of youth” which we serve (Dembo, R. and Muck, R. D., 2009). • Homework: Most outpatient programs focus exclusively on substance use and ignore some of the other irritating factors in the teen’s life that contribute to the problem situation. Sobriety is only one part of an overall recovery program, which includes addressing problems in school, in the family, and for the individual (Brannigan et al, 2004). Many of our clients struggle with learning differences or ADHD, poor grades, poor school attendance, and need support for homework completion. Potomac Pathways currently provides an ADHD support group for teens and is expanding to be able to do more to give support to teens after school. In this supportive environment, students are able to learn positive skills that can contribute to their success in school. • Outdoors: Outdoor programming has been shown to increase teens’ motivation in treatment (Russell, K., 2005). Potomac Pathways provides a host of outdoor adventure activities for clients in recovery, including: high- and low- ropes course activities, caving, canoeing, kayaking, Native American ceremony on Adventure Island, climbing wall, hiking, skiing/snowboarding, horseback riding. The events include therapeutic work around processing the recovery metaphors that the clients get out of the activities. The events help teens discover the fun in sobriety. And it occasionally happens that a client decides to develop a career in outdoor adventure programming because of these events! • Assessment and Treatment Matching: Program conducts comprehensive assessments that cover psychiatric, psychological, and medical problems, learning differences, family functioning, and other aspects of the adolescent’s life. • Comprehensive, Integrated Treatment Approach: Program services address major aspects of the adolescent’s life including substance abuse, learning differences, family relationships, co-occurring depression, anxiety and other mental health issues. • Family Involvement in Treatment: Research shows that involving parents in the adolescent’s drug treatment produces better outcomes. Programs includes a high level of family involvement. • Developmentally Appropriate Programs: Activities and materials reflect the developmental differences between adults and adolescents. • Engaging and Retaining Teens in Treatment: A strong therapeutic alliance is required for engaging and retaining teens (Winters et al., 2009; Diamond et al., 2006). Treatment program builds a climate of trust between the adolescent and the therapist, and between peers. • Qualified Staff: Staff members are trained in adolescent development, co-occurring mental disorders, substance abuse, and addiction. • Gender and Cultural Competence: Program addresses the distinct needs of adolescent boys and girls as well as cultural differences among minorities. • Continuing Care: Program includes relapse prevention program, aftercare planning, referrals to community resources, and follow-up. Barkley, R. (2008). Advances in ADHD: theory, diagnosis, and management (recorded seminar). Lancaster, PA: J & K Seminars. Brannigan, R., Schackman, B., Falco, M., Millman, R. (2004). The quality of highly regarded adolescent substance abuse treatment programs: results of an in-depth national survey. Archives of Pediatric and Adolescent Medicine, 158, 904-909. Dembo, R. & Muck, R. D. (2009). Adolescent outpatient treatment. In Leukefeld et al. (Eds. ), Adolescent substance abuse: evidence-based approaches to prevention and treatment, New York, NY: Springer. Diamond, G. S., Godley, S., Liddle, H., Sampl, S., Webb, C., Tims, F. at al. (2002). Five outpatient treatment models for adolescent marijuana use: a description of the Cannabis Youth Treatment Interventions. Addiction, 97, S70-S83. Hall, J., Smith, D., & Williams, J. (2008). Strengths-oriented family therapy (SOFT): A manual guided treatment for substance-involved teens and families. In LeCroy, C (ed. ),Handbook of Evidence-based treatment manuals for children and adolescents, New York, NY: Oxford University Press. Miller, W. & Rollnik, S. (1991). Motivational interviewing: preparing people to change addictive behavior. New York: Guilford. Richards, P. & Bergin, A. (2004). A spiritual strategy in counseling and psychotherapy, Washington, DC: American Psychological Association. Russell, K., 2005. Preliminary results of a study examining the effects of outdoor behavioral healthcare treatment on levels of depression and substance use frequency. Journal of Experiential Education, 27 (3), 305-307. Stevens, S. & Morral, A., (eds.) (2003). Adolescent substance abuse treatment in the United States: exemplary models from a national evaluation study. New York, NY: Haworth. Winters, K., Botzet, A., Fahnhorst, T., Stinchfield, R., & Koskey, R (2009). Adolescent substance abuse treatment: a review of evidence-based research. In Leukefeld et al. (Eds. ), Adolescent substance abuse: evidence-based approaches to prevention and treatment, New York, NY: Springer. 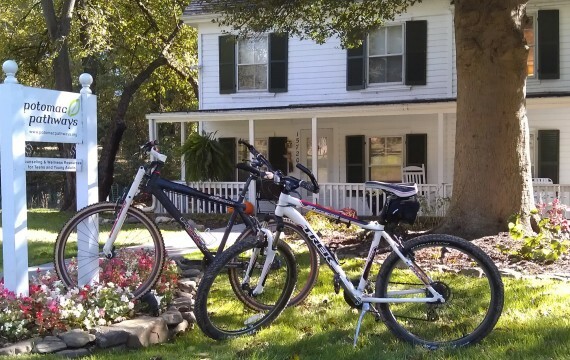 Potomac Pathways busted out the mountain bikes for an exciting therapeutic ride this week. Zipping along the wooded trails we embraced the brisk air, bounced over obstacles, and restored our energy by a lazy stream. We had a great time, and plan to pack some snacks to head out again soon for further exploration! Click on the title above to read the Sunday NY Times article.